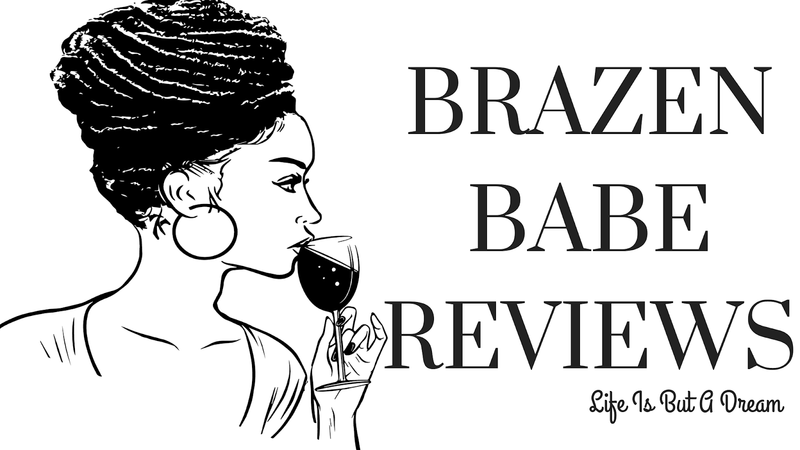 18 &amp; Over Book Blogger Follow: Show us the goods! 18 & Over Book Blogger Follow: Show us the goods! -Contact Crystal(readingbetweenthewines10 at gmail dot com) with any questions! No question this week...Show us the goods! Share your bookshelves with everyone. Strictly eBooks? That's okay, take a pic of your reader! Give a tour of your shelves and have fun with it. My NOOK never leaves my side..lol. This just 6 of a total of 110 books on my lil friend below and that doesn't even include the books I got for Reviews...smh. Tag! You're next..lets see your shelf have a great weekend! I wish my current house came with a bookshelf. I understand with the moving part though. We move a lot in the military and are only allowed a certain amount of weight. So I have to get rid of books or be very picky on what I buy. Oh and you were right about the Bleach. Tōshirō Hitsugaya (the young soul reaper) is on that shelf as well. Love little book cubby shelves like that. Such good use of space :) I think I'm the only one who isn't attached to a Nook/Kindle. When I have to actually use mine it's always a hunt trying to find it :) Very handy if your on the move a lot though! I'm not lending out anymore books..that's it for me. I learned my leason. That's awesome that your place came with shelves, I need some like that! I have to say that I'm pretty selfish with my books too, my mom has a few and I've been dying to get them back for months now. 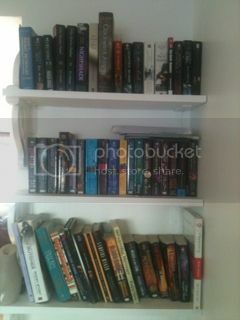 And eek, my Nook & PC have way too many books to count - need more hours in the day to read!